Edward Maxwell joined MMI in 1829, the year he came from Scotland, and was elected to the Managing Committee in 1832. In the early 1850s, along with William Hutchison, he made preliminary design plans for the Mechanics Hall, and had the £1384 carpentry contract for the Hall built in 1854. He was the father of specialty woods merchant E. J. Maxwell who was also a member of MIM, and grandfather of noted Montreal architects Edward and William Maxwell. Aaron Philip Hart, the fourth lawyer in the extended Hart and Judah families to be admitted to the Bar in Canada, gave lectures at the MMI in 1829, left in a huff, and was a member again in 1840. He raised a Loyalist militia regiment during the 1837-38 rebellions, then defended the Patriotes in the 1838-39 trials. He is reputed to have owned the horse that won the first running of the Queen’s Plate in Toronto. François-Antoine LaRoque, born in L’Assomption, educated at Collège de Montréal and in the U.S., became a furtrader and explorer at age 17. He served in Chasseurs canadiens in the War of 1812 and was imprisoned by the Americans in Cincinnati for six months. Upon retiring from the fur trade in 1815, he became involved in many aspects of commercial and cultural life in Montreal. He was elected Mechanics’ Institution vice-president in 1830. His son François-Alfred-Chartier LaRoque was a founder of the Montreal City & District Savings Bank, and became an MIM life member in 1854. John Ostell joined the Mechanics’ Institution in January 1834 at age 21, having just arrived from England. He was elected to the Committee of Managers in 1835, and served as president in 1845 and 1846. A surveyor and architect, he designed the Customs House (1836), now part of the Pointe-à-Callières museum; McGill Arts Building (1843); Grand Séminaire de Montréal on Sherbrooke Street; and the (old) Court House (1859). Later, he ran a door and sash factory on the Lachine Canal. His son Joseph Ostell joined the Mechanics’ Institute at age 13. John Lovell, one of the eldest in a large Irish farming family located near Montreal, became a printer’s apprentice and then started a publishing company that still operates– the oldest family-owned enterprise in Canada. He published books, city directories, textbooks and sheet music. With his brother-in-law John Gibson, an MIM member, he published The Literary Garland, the first journal in Canada to pay authors for their fiction work. 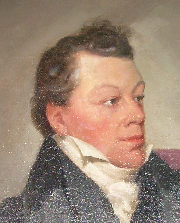 John Lovell was elected to MIM’s Committee of Management in 1840 at the age of 30. William Watson arrived from Scotland in 1801 with his parents, siblings and two millstones. They set up shop as millers near Montreal to take advantage of the Nun’s Island current, and William Watson learned milling at an early age. The fortune he earned enabled his nephews —Alexander Walker Ogilvie, John Ogilvie and William Watson Ogilvie—to build the largest flour milling enterprise in Canada. William Watson joined MIM in 1840, and his three nephews were also MIM members, Alexander being the most active of the three in the 1850s. William Hutchison, son of a Scottish farmer who immigrated to Canada with his young family, became a mason, built the imposing Bank of Montreal building designed by John Wells, and was involved with the plans for the Library of Parliament in Ottawa. He joined MIM in 1843, and with Edward Maxwell made the preliminary plans for the Mechanics Hall that was built in 1854. William Hutchison’s brother Matthew Hutchison, also an MIM member, for a time held the important post of flour inspector in Montreal, and he later formed a milling business with the Ogilvie brothers in Goderich, Ontario. Sons of William Hutchison were prominent for many years in the Mechanics’ Institute. Alexander Cowper Hutchison apprenticed as a stonemason with his father, learned architectural drawing at the Mechanics’ Institute starting at age 13, and later taught the course. In addition to designing or building many of the enduring and graceful structures in Montreal, A. C. Hutchison and his brother John Henry Hutchison were responsible for the design and building of the ice palaces that were highlights of Montreal winter festivals in the late 1800s.